India is a country where both natural and spiritual worlds share a deep and primordial connection. Here, the natural elements like air, fire, earth and water are revered as gods. The most important natural deities are the rivers amongst which the most powerful is the river Ganga. She is a water goddess who descended from the heavens to cleanse the humans of all their sins. 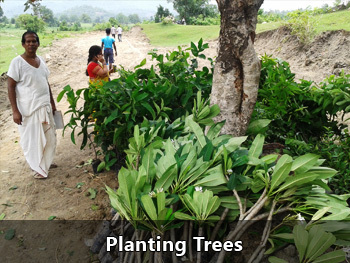 She has been a blessing to the hot and crowded plains of the northern India through countless millennia, by creating and replenishing one of the most fertile soils on earth. 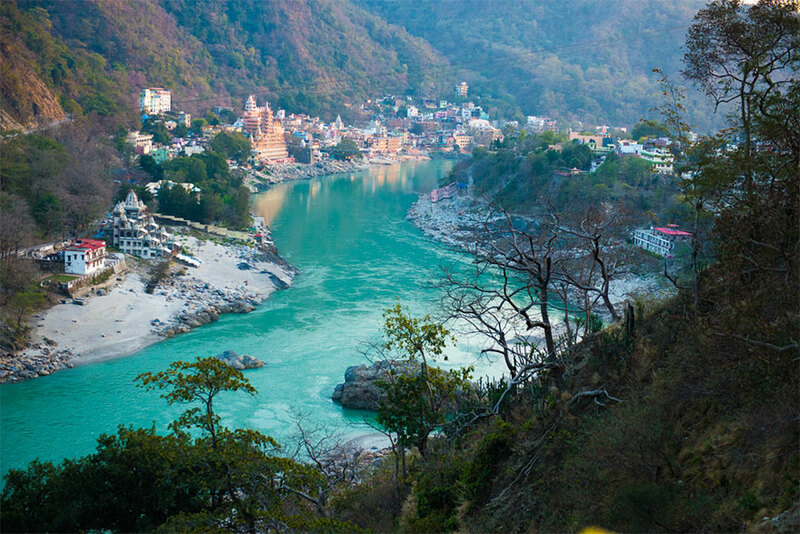 The great cycles of birth, death and rebirth endlessly play out all around her and flowing through these natural and spiritual worlds is the Ganga – India’s river of Life. India has many sacred rivers but it is the Ganga that lies at the very heart of the subcontinent which flew 2500 Kms to reach its delta on the shores of the Bay of Bengal making it the third largest river on earth. Although, the Ganga starts life in a very different realm. 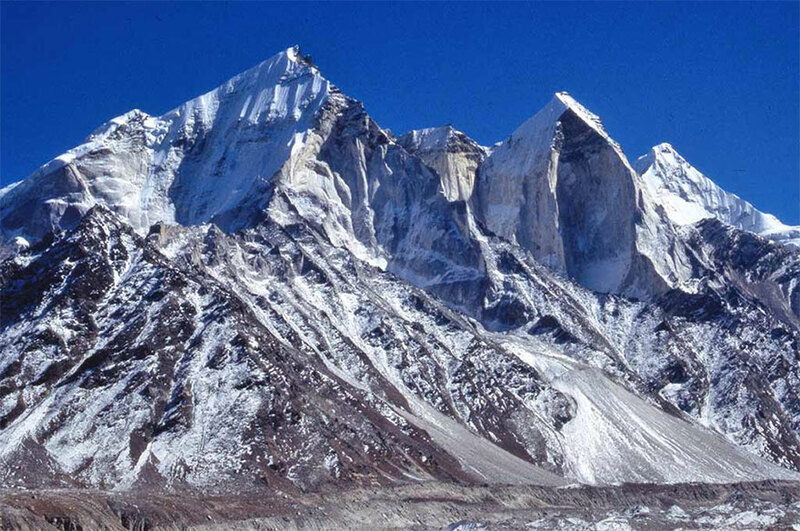 Cold and imposing, in the high peaks of the Himalayas, known as Dev Bhoomi – the land of the gods. 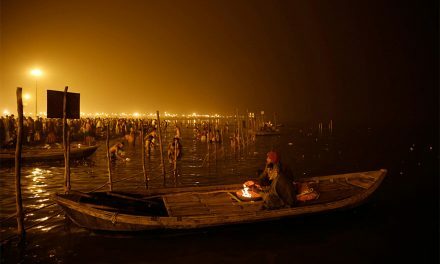 The source of the Ganga is a place of great significance. But where amongst these remote peaks and glaciers does India’s most venerated river really begin? 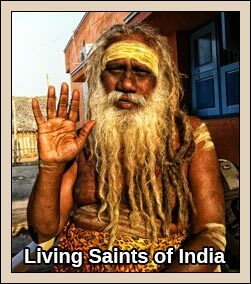 I am Rajesh, and this is my pilgrimage to the source of India’s most sacred river. It was 2 am in the morning of 18th September 2016, and I woke up to the loud buzz of my alarm which I did not want to snooze. I could barely get any sleep the night before due to excitement and anxiousness about my journey ahead. My flight from Chennai to Delhi was at 4.15 am and the onward flight from Delhi to Dehradun was at 9.15 am. I could catch up on sleep in the 2.5-hour flight to Delhi. Dehradun was my home for 2 years where I did my MBA so felt nostalgic when I landed at the Jolly Grant airport after 5 years. My next destination was Uttarkashi which is about 150 kms from Dehradun. The taxi that I booked was waiting for me at the airport and we were on our way with no delay. 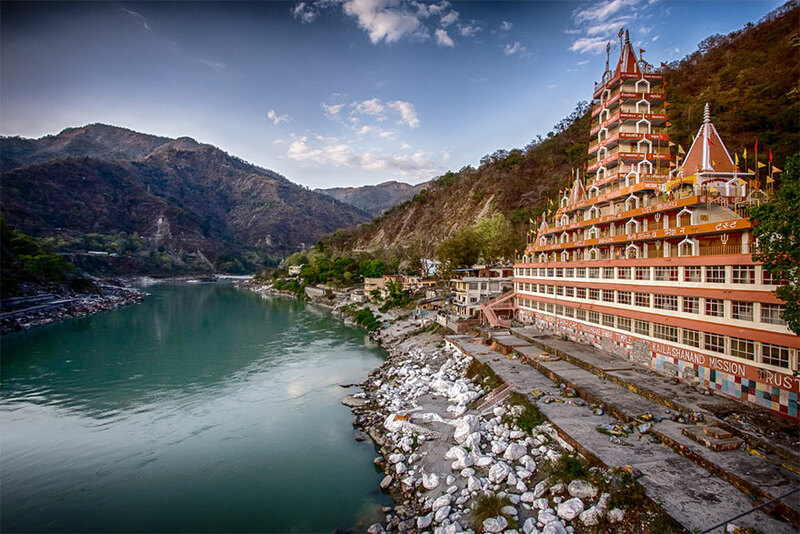 The holy town of Rishikesh was en route to Uttarkashi. This is the place where the daughter of the mountains Ganga, united with all its tributaries, attains the status of a mother. I decided to visit the place to pay my respects to the river goddess. To stand on the Lakshman Jhula and witness the Ganga flowing beneath you is a wonderful sight. 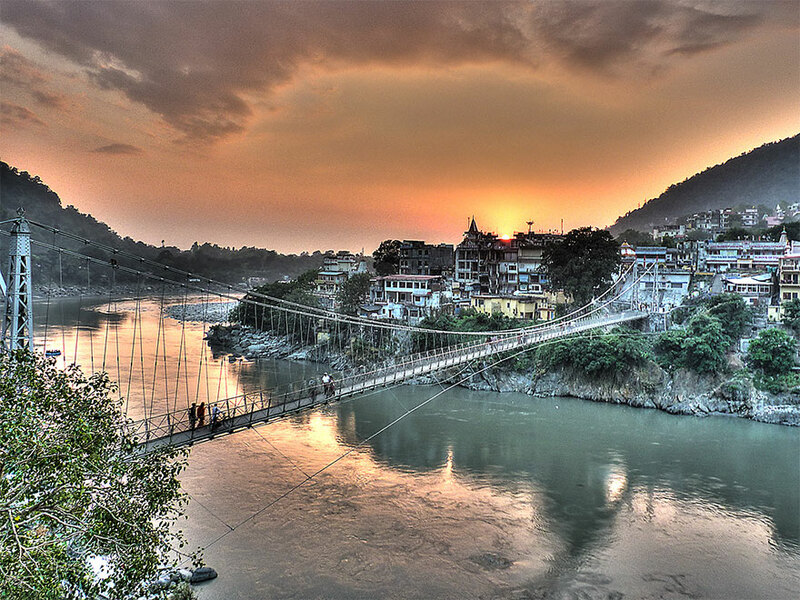 The Lakshman Jhula is a 450 ft long iron suspension bridge and built at a height of 70 ft from the river. This is believed to be the place where Lakshman the brother of Lord Ram crossed the river after defeating the demon king Ravana. Also this is the place where the Ganga leaves the Shivalik hills and bursts out on to the plains of northern India. After taking the blessings of Ganga maa I left from Rishikesh at around noon to follow one of its main tributaries, the Bhagirathi, up north into the Shivalik hills. Around 50 kms from Rishikesh I come across a sight which is as breathtaking as it is unsettling. 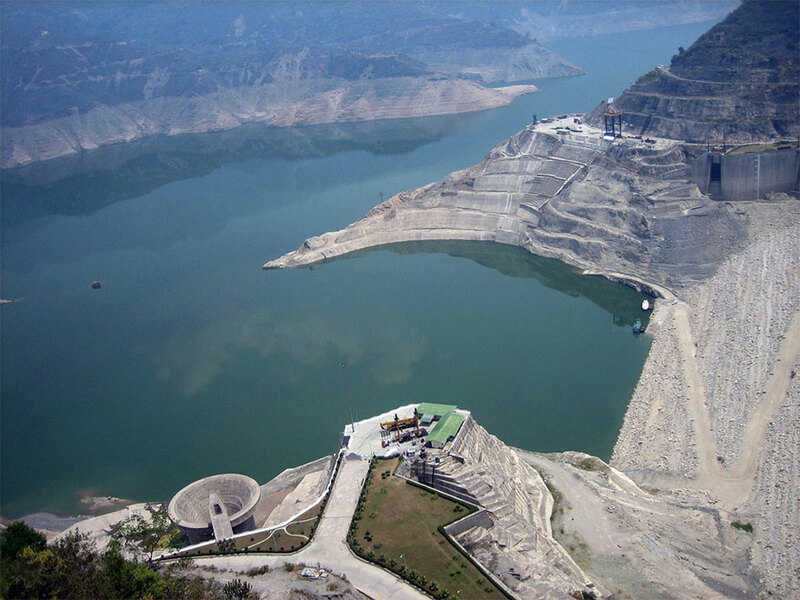 The catchment area for the Tehri dam is around 52 square kms and the dam is the tallest in India. Mountains had to be broken, streams had to be diverted, people had to be displaced and forests had to be cleared to construct such a huge structure. 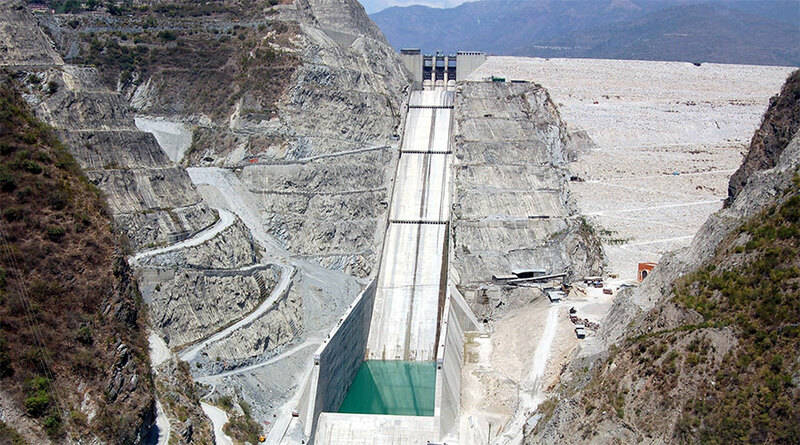 One can only imagine the environmental consequences of locating such a huge dam in the fragile eco system of the Himalayan foothills. Only time will tell if the dam will be able to withstand the quakes of the central Himalayan seismic gap, a major geologic fault zone. Accepting the fact that this is a necessary evil, I continued my journey towards Uttarkashi stopping only for lunch at the town of Chamba. We reached Uttarkashi around 6 in the evening where my guide, Mr. Jai Singh was waiting to receive me. 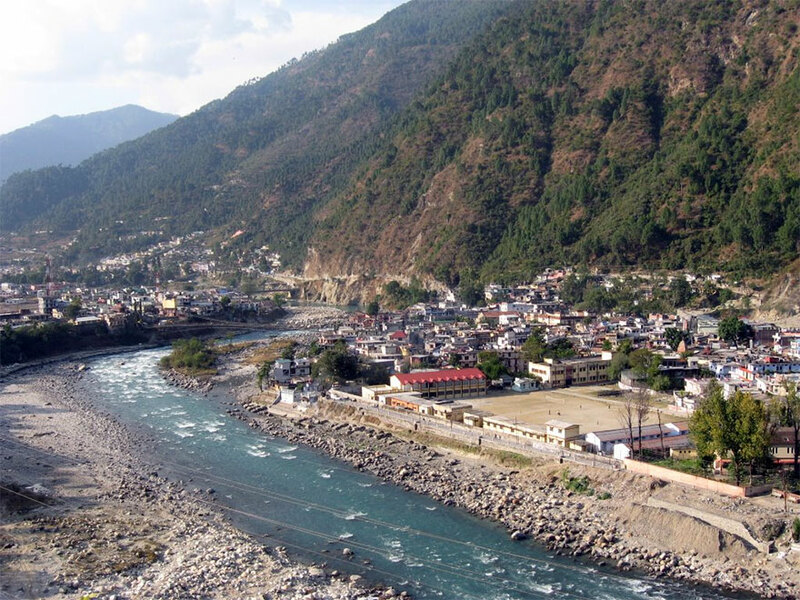 Uttarkashi is a town on the banks of the Bhagirathi river at an elevation of about 1200 m above sea level. 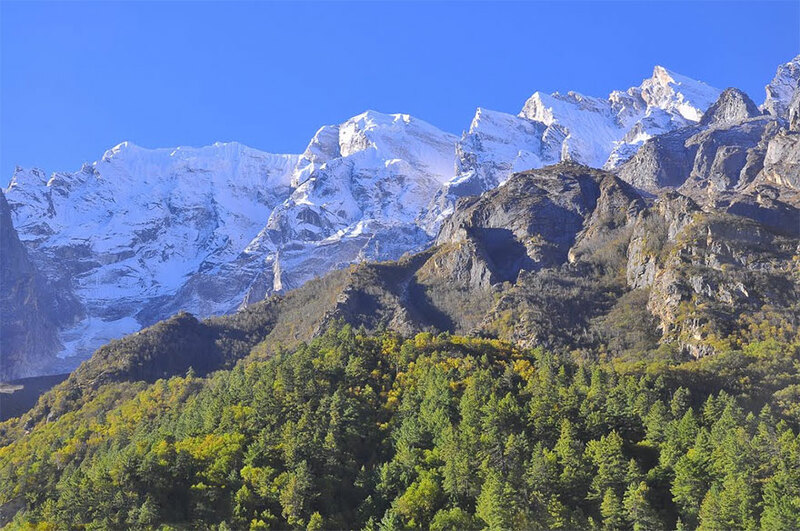 This town is also home to the Nehru Institute of Mountaineering which is considered to be the pioneer institute for mountain climbing in India. It’s worthwhile to note that the youngest woman from India to scale the mount Everest is an alumnus of this institution. After discussing the plans for the next day with Jai over dinner I checked into the hotel which he had booked for me for the night. Tired and exhausted it didn’t take much time for me to fall asleep. It was a pleasant morning at Uttarkashi with bright sunshine glistening over the Bhagirathi river. My hotel was on the banks of the river with a balcony overlooking the river. One could just sit there all day and watch the mighty Bhagirathi carve its way out of the Shivalik hills. But I did not have more than a few minutes to enjoy it as Jai was waiting for me to execute the well laid plans for the day. I checked out from the hotel at 10 am and entered the busy marketplace of the town. We were looking for one particular shop where we had to purchase a long list of groceries that we needed for the trek that included everything from rice to dals, spices to condiments, breads, chocolates and cakes. I thought this was overkill for just five days but later did I realize how wrong I was when these very things were keeping us alive in a rather harsh environment. The shopkeeper was an old man who was an acquaintance of Jai was quite intrigued at the fact that I was the only person who would be doing the trek. 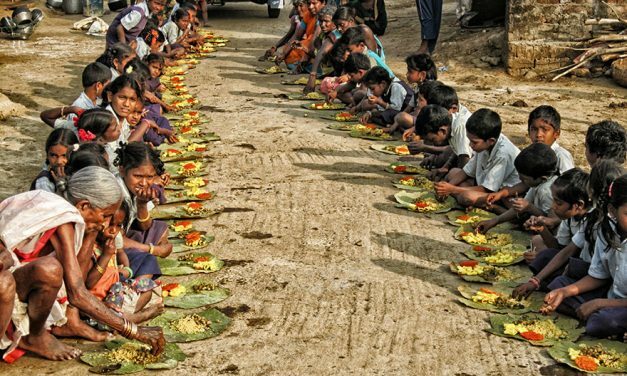 After paying the bill the shopkeeper wished me luck and said something that boosted my spirits even more – “Akele aaye ho bete, jab upar tak jaaoge to yaad rakhna ki tere har kadam pe Ganga tumhari saath degi” – which means “You have come alone son, but when you reach the top just remember that in every step you take, Ganga will be with you”. I thanked the shopkeeper for his blessings and kind words and we left from Uttarkashi in our taxi. Before hitting the road towards Gangotri, we had to pick up our cook Mr. Pardeep who was waiting with our tents and cooking items. Neatly packed, it took the driver only a few minutes to load them on top of the taxi. Before starting, the driver chanted ‘Har Har Mahadev’ which Jai and Pardeep repeated loudly in unison by thumping their fists in the air. To me it sounded more like a war cry and I felt as if we were getting ready for a battle rather than a trek. We stopped for lunch at the town of Harsil. This hamlet is known for its natural beauty and delicious apples. It is said that Harshil got its name because the rivers Bhagirathi and the Jalandhari once had an argument about which was more important. 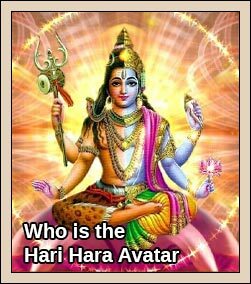 Lord Vishnu, also known as Hari, was asked to intervene. He turned himself into a great stone, a shila, and absorbed their anger. And even today, after Hari-shila (or Harshil), the waters of the two rivers become a little less turbulent. The deity of the goddess Ganga is brought down from the shrine at Gangotri after Diwali and kept at ‘Mukhba’ village near Harsil. 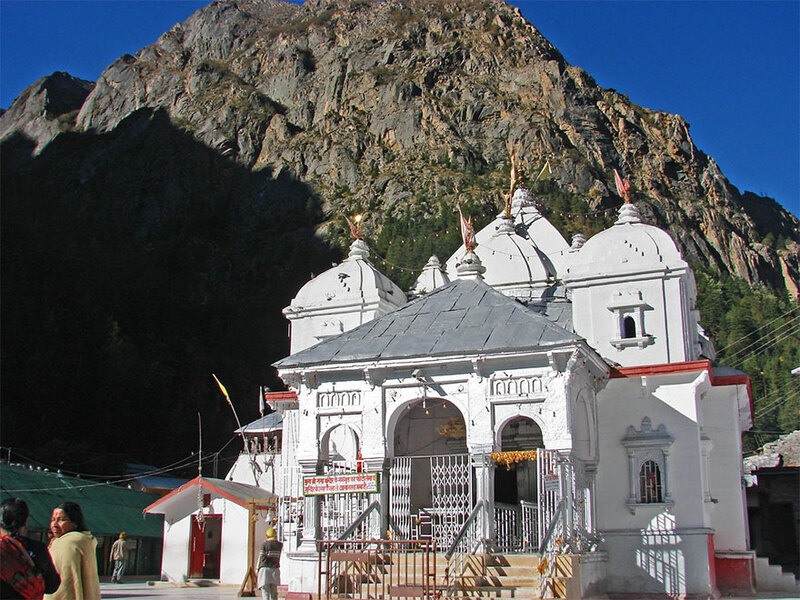 It remains there throughout the winter when Gangotri is snowbound and inaccessible. We reached Gangotri around 4:30 pm and it was much colder than I imagined. Jai and Pradeep left me alone to visit the forest office to obtain permission to enter the Gangotri National Park and camp there for the next few days. I wandered around the slightly deserted yet lively little town which is at an elevation of 3000m above sea level. This is the place where Hindus believe that the Ganga first descended on to the earth. Ganga is a water goddess who flowed through the heavens. She is believed to be so pure that just a bath in its holy waters would cleanse a man of all his sins. 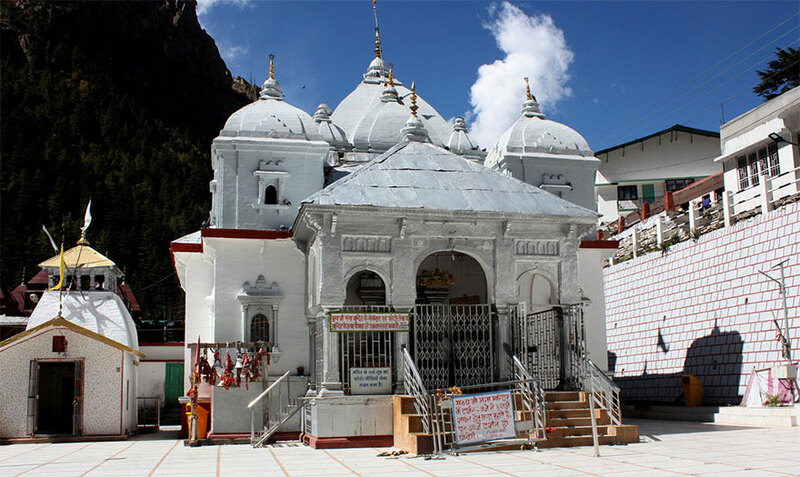 The legend says, that the king Bhagirath, wanting to cleanse the ashes of his forefathers, did penance at Gangotri for 5,500 years. Impressed by his penance the Ganga agrees to come to earth. But the Ganga, being a goddess of abundance and sustenance was so powerful that her descent would have shattered the earth. Bhagirath then prays to lord Shiva to slow down the descent of the enormous river. 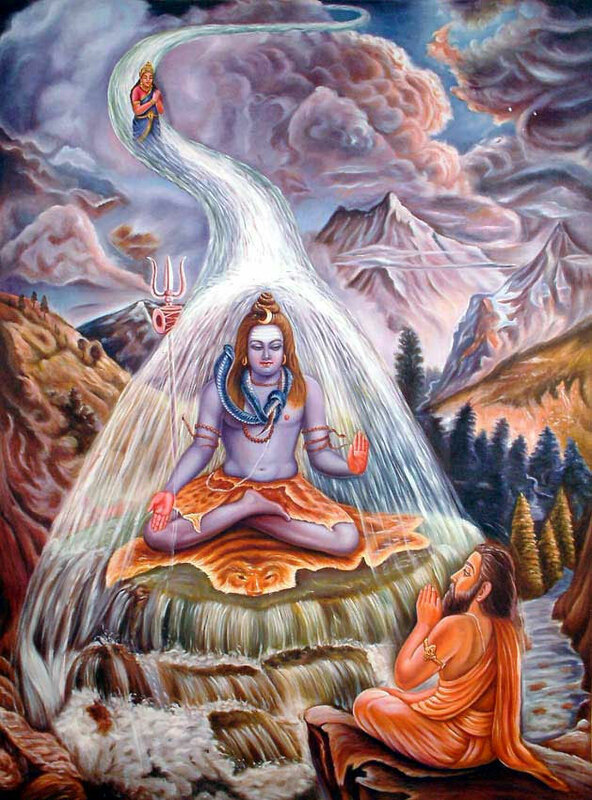 Lending ears to his request, lord Shiva places himself between the falling river and the earth there by catching the Ganga in his matted locks, cushioning her arrival and channeling the flow into a thousand lesser streams. 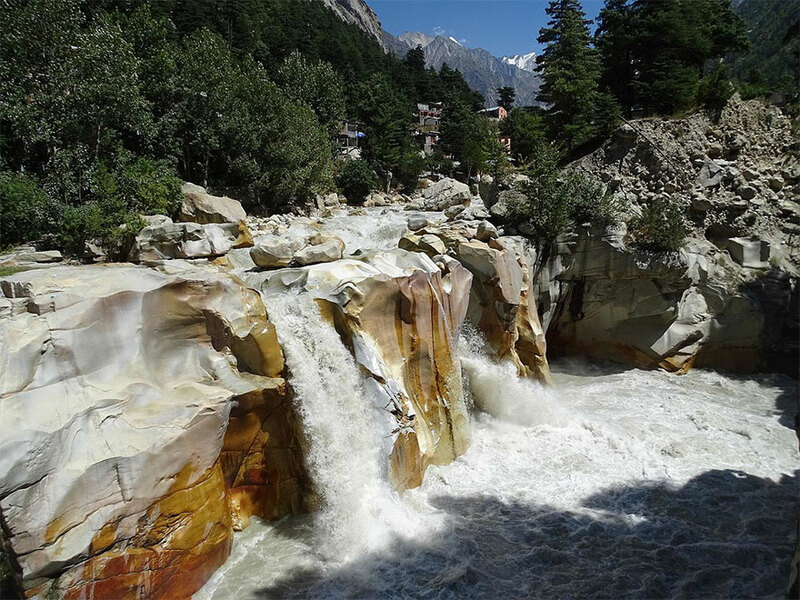 To honor the king’s effort, the river at Gangotri is named after him. The spectacular waterfall at Suryakund where the river falls from a height of 60 ft, is a very earthly reminder of this tumultuous descent. 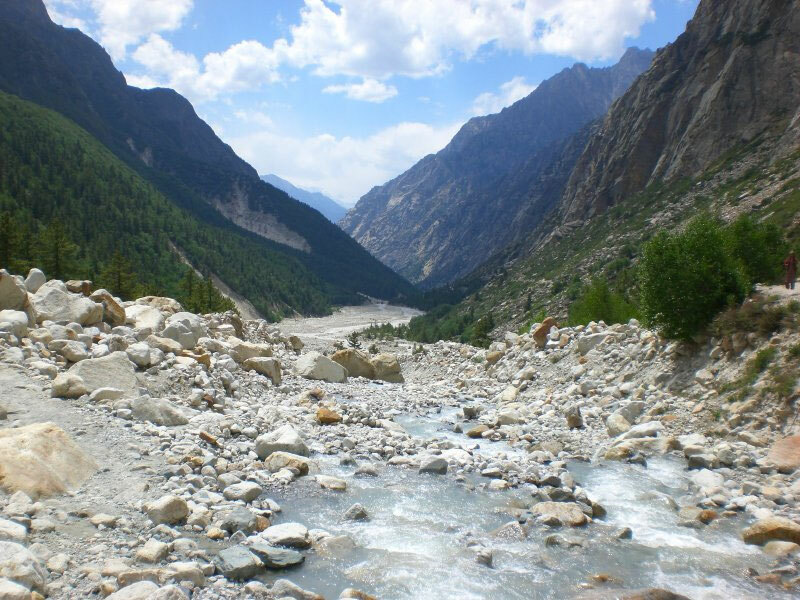 However, Gangotri is not the geographical origin of the river. The river here is already wide and powerful, fed by one of the Himalaya’s largest glaciers high above the valley. 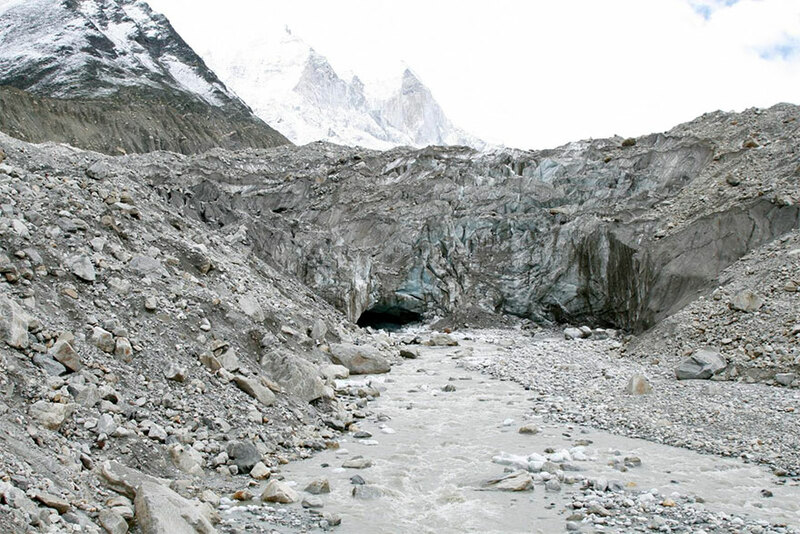 The glacier which was right at the town of Gangotri until a few hundred years ago, receded 18 kms away due to rising temperatures. Determined to reach the origin far away I entered the temple. It was time for the evening aarthi, a ritual that is performed each day from time immemorial to honor the country’s river of life. We retired to our room at around 8.30 pm and I went to sleep with the constant roar of the Bhagirathi gushing down and a number of thoughts about an exciting and adventurous trek that lay ahead. I woke up at 6 am in the morning to get ready for the trek. The weather was cold and misty with poor visibility not more than a few meters outside my room but the sound of Bhagirathi roaring ferociously past the town was clearly audible. I took a luxurious hot water shower thinking it would be five full days before my next shower. 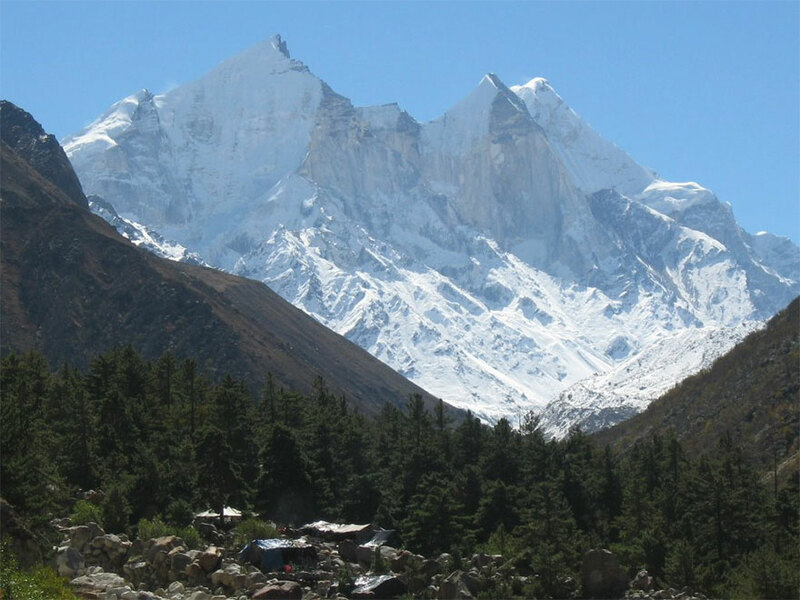 The night stay at Gangotri was essential to acclimatize ourselves to the high altitudes and not be a victim of high altitude sickness otherwise known as Acute Mountain Sickness (AMS) which is common at altitudes higher than 2500 meters. The decreasing oxygen levels during rapid ascent to higher altitudes results in AMS which can be avoided by gradual ascent. The rule of thumb is not to climb more than 300 meters a day although you may climb up to 500 meters during the day and come back down to 300 m to camp for the night. Unless your body is well acclimatized, it becomes very difficult to even walk at such high altitudes. Most of the trekkers who get affected with AMS might not even realize that they have been affected until the symptoms get worse and are forced to stop the trek and come down to lower altitudes. The stay at Gangotri provided me with the right amount of acclimatization needed for this trek. The porters arrived at 6.45 AM and packed our tents and other belongings. A porter can carry up to 25 kgs and given the amount of stuff we had we hired two porters, Mr. Bhim and Mr. Bahadur, who are both from Nepal. They looked young and in good shape and I was later astonished to know that Bhim was 57 Bahadur was in his late 40s. our trek would have been impossible without these two wonderful people who truly deserve the entire credit. Our trek started at around 7:15 AM after taking the blessings from the river goddess and breakfast at a local outlet. A few meters from where the trek begins at the temple, we had to take 150 to 200 stairs to reach the pathway that leads to the Gangotri National park. The first day trek to the campsite was 9 kilometers and I was out of breath just when I was done with the stairs to the pathway. Jai crudely reminded me by saying “The stairs are only a few and at 3000m. To reach your goal, you will have to climb a steep mountain for 300m at an altitude of 4000m, and that too after crossing a glacier”. Gathering my breath, I reassured myself that this was not going to be easy but definitely worthwhile and with the same thought, set out on the path that leads to the camp site. The trail goes towards the left side into the forest and at approximately 2 kilometers from the start, we reached the forest post where our permits were checked. This is where I got a much needed break and rest for 5 mins before starting again. Jai suggested that we walk for an hour and rest for 15 mins so as to maximize the distance covered. A few meters from the check post, we were greeted by the absolutely stunning Sudarshan Parbat (6500m) in the background. The trail was on the left side of the mountain ridge with the Bhagirathi flowing on the right. The path was mostly even with gradual inclines. 30 minutes into the trek from the check post I came across a stream gushing below a makeshift bridge after which the valley opened up to several snowcapped peaks on the right side. It was a very narrow path with wonderful peaks on either sides and the Bhagirathi at the bottom. Two hours into the trek, I was getting exhausted rapidly with more frequent and longer breaks. After almost 4 hours of trekking, I came across a stream where a bridge was washed away during the monsoon in July. We had to climb down the ridge over the boulders to reach a point where the stream was less wide and a makeshift bridge was made with wooden logs tied together. After crossing the bridge and climbing up the boulders for another 10 minutes, we reached the humble abode of the Chir trees, Chirbasa in 4 and a half hours by 11:30 AM. Jai suggested we take some rest and proceed to Bhojbasa the same day. I woke up after an hour’s sleep at the dhaba only to find my legs as numb as the boulders that we crossed. That’s when it hit me that this was the first time ever I exercised my body to this extent. It was clear that the fitness regime I followed in preparation for the trek was no way sufficient for the effort that I had to put in now. I walked around for few minutes just to relax my muscles as lunch was being served at the dhaba. We started to Bhojbasa at 2 PM and not more than 30 minutes later, I started feeling dizzy and disoriented. I had a mild headache, which along with the cramps in my legs made it very difficult to proceed any further. I suspected it was due to AMS and told Jai about my symptoms. He immediately suggested going back to Chirbasa and camping there for the night. We set up our tents right next to the forest check post at Chirbasa. There were two officers at the post whom we invited over for dinner at our camping tents. It’s not very often that people camp here so they were quite happy to keep us company. They talked about their jobs which evidently they were not happy about. Both looked quite young and were a little disappointed that they were posted at a remote location quite far from the civilization. On the other hand, I was feeling quite jealous about their job site given my obsession with mountains and rivers. Well, grass is always greener on the other side. Our conversations moved towards their experiences and they started talking about a particular unsettling incident that occurred in June this year. They spoke about two trekkers who died on the same day due to AMS. As one of the officer started explaining how it happened, the other noticed the shock in my face and asked him to stop. Out of curiosity I requested them to continue. The more they spoke about it the more anxious I got. When they finally finished, I had a chill down my spine. I wished I had never heard about it. They thanked us for the meal and left. I retired to my tent and slipped into my sleeping bag. Alone in the tent with only the sound of a river gushing down and the thoughts of two men who lost their lives, sleeping was not easy and the night ended up being one of the longest of my life. I woke up to the chirping birds and swaying tent due to a steady breeze. It was 7.30 am and our cook already made breakfast. Jai and the porters were all packed and ready for the day’s journey. I asked Jai if I can find a restroom nearby. He just waved his hands and said everywhere here is a restroom and its far more hygienic than closed doors. He passed me a bottle of water and said, “go anywhere you want to”. You never truly become a part of nature unless you do things naturally. Never did I feel so close to nature than performing my morning ablutions out in the open between green bushes and on a river bank. It was around 9 AM when we packed everything and started our journey. The two officers wished me luck and warned me twice to come down if I noticed even the slightest symptom of AMS. Heeding their advice and thanking them for their wishes, we left from Chirbasa. Our hike to Bhujbasa was for 5 kms along the left trail of the mountains. It was a relatively easy hike with very gradual ascent and few kilometers of rocky paths. 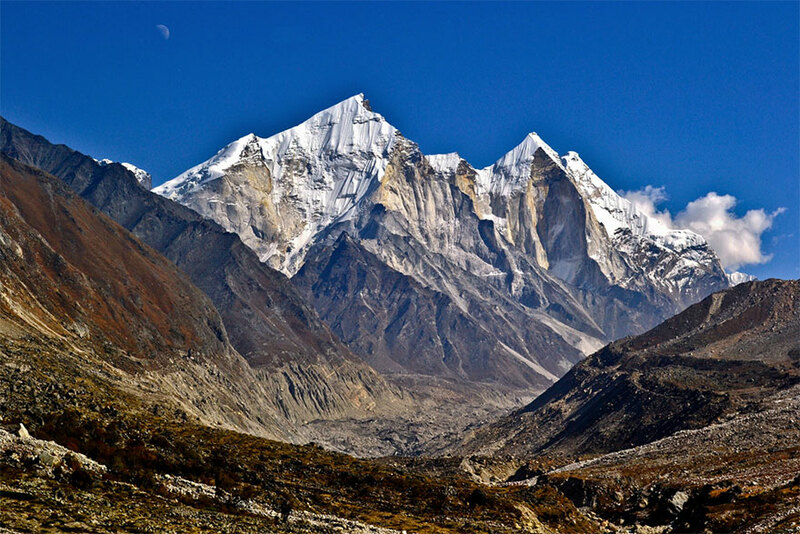 A few meters into the trail, you get to see the amazing Bhagirathi peaks, I, II and III standing tall at 6856m, 6512m and 6454m respectively. They look so alike that they are also called the Bhagirathi sisters. The path to Bhujbasa is landslide prone and every 15 to 20 minutes you encounter a path covered with boulders that needs to be traversed by climbing up and down the ridges. I was moving quite faster than the previous day and did not rest for at least an hour when we came across a stream with no bridge to cross. We had to climb up a 75-meter-high ridge to cross the stream where it was narrow. Climbing up was only a test of endurance but climbing down was a real test of agility. With loose rocks and sand, it was very difficult to climb down. I had no experience whatsoever and not even the slightest idea of how to get down, I was literally planting my every step on the ground before taking another. It took me more than 5 minutes to climb down the 50-meter-high ridge. When done, I rested for 15 minutes nibbling a chocolate bar when Jai told me that the descent from Tapovan tomorrow would be much steeper with more slippery rocks. It was a short walk from here to Bhujbasa and I was quite confident that I will be able to make it without any more breaks. 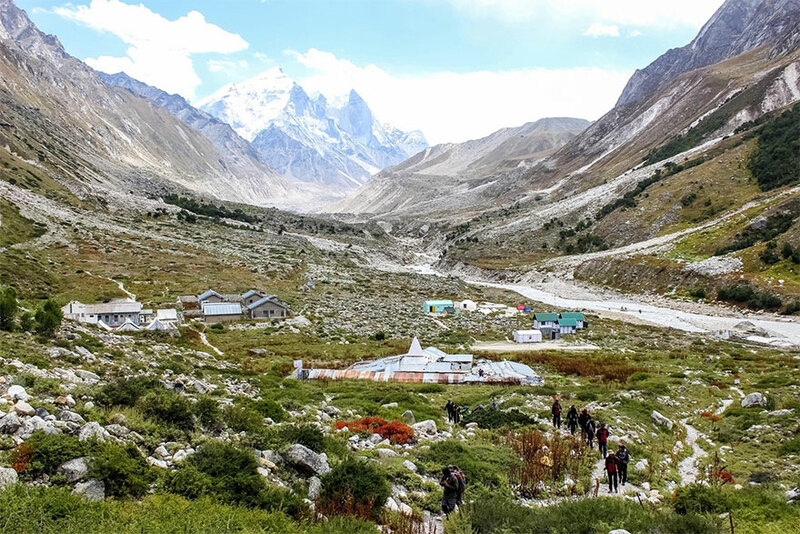 Just before the camp site, there is a vantage point from where the Gangotri glacier can be seen with the Bhagirathi peaks in the background. It was an amazing sight. The sun was shining bright when we made it to Bhujbasa in less than 2 hours. The camping site right on the banks of Bhagirathi river was wonderful. 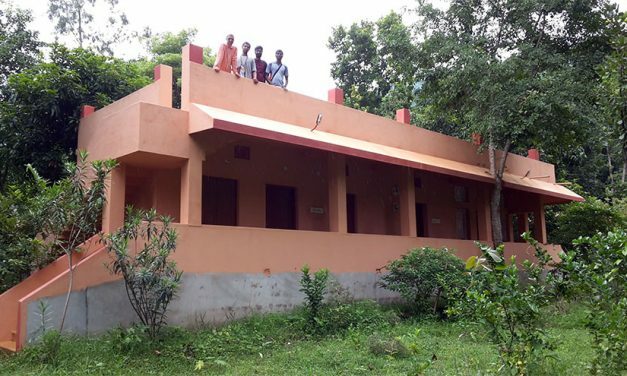 There is also a government guest house at Bhujbasa where you can camp for the night in case you did not carry any tents. We set up our tent a little further from this guest house. The clouds which were covering the majestic Shivling peak (6543m), slowly cleared up letting us catch a glimpse of the peak for the first time which I was very much looking forward to see. Around lunch time a group of clouds slowly started rolling in from the Bhagirathi peaks towards the Gangotri glacier and finally to the right towards the Shivling peak. It was dark and chilly at around 3 PM due to the cloud cover, which was now above the Bhujbasa valley. My excitement began to fade around 4 when it was completely dark and covered with clouds that were ready to burst anytime. It was very chilly outside and even with 3 layers of warm clothes, I did not feel warm enough. We retreated into our tents hoping the weather to get clear soon. Much to our disappointment, it started raining around 6 in the evening. Although it was not a heavy downpour, a steady shower continued for the rest of the evening. I was sitting in the kitchen tent with my gloomy face when our porter Bhim said not to worry and the rapid change in weather at high altitudes is quite common. He was quite sure that there would be clear skies by next morning. I was worried that if it rained any heavier or longer, the path would become slippery making our journey ahead more difficult. A hot supper lifted my spirits and I slipped into my sleeping bag hoping for a wonderful day tomorrow. I went to sleep with the sound of the rhythmic pounding of rain drops on my tent which I was quite sure continued for a long time. I woke up at 6.30 am with the excitement of a kindergartner’s last day of school before summer break. The previous night’s cold climate continued in the morning and was gloomy although there was no rain. Bhim winked at me and asked me to get ready for a pleasant day. I was quite determined to continue the journey even if it rained. Jai suggested to not carry any tents or groceries with us as we planned to climb up and down on the same day. He said if at all I got tired, we could stay at the Mauni Baba’s ashram for the night and come back the next day which made perfect sense given the chances of rain and returning midway. As we were finishing our breakfast Bhim grinned looking towards the sky and pointing out at the clouds that were moving away from us. It was 8 am when Jai and I packed only the essentials and left for the trek. 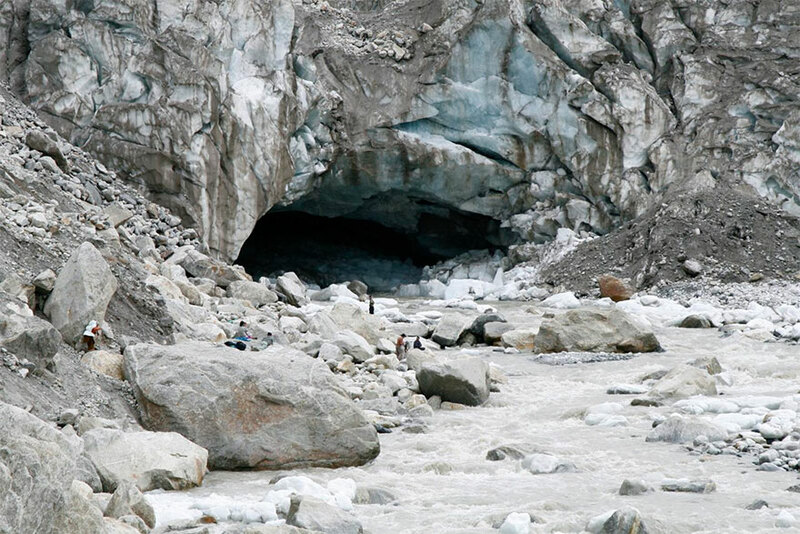 Our first destination was Gaumukh (literal translation cow’s mouth), the snout of the Gangotri glacier. The trail to Gaumukh is 4 kms long with a gradual incline over a rocky path. the clouds cleared steadily 20 minutes into the trek enabling us to see the Shivling peak on the right. After another 30 minutes, there was a rock face that we crossed to an unseen view of Gaumukh. The weather was getting much better with each step we took towards the glacier. It took us 90 minutes to reach the small temple of Lord Shiva at Gaumukh at which time we had clear skies and were proud to make it without any breaks. As per legend this place was the origin of the river Ganga. 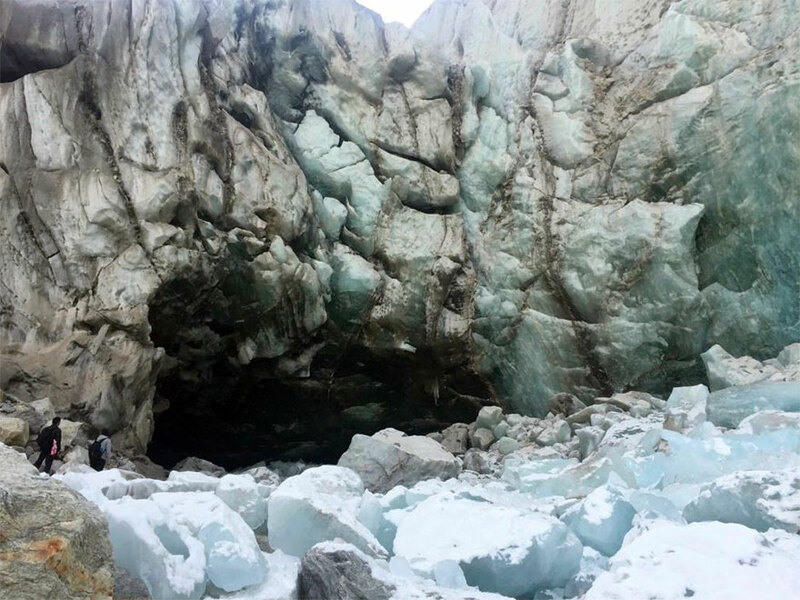 The snout of the glacier got its name as it resembled a cow’s mouth, may be a few hundred years ago, when the glacier spanned across the town of Gangotri, although now it is nowhere close in resemblance to a cow’s mouth. 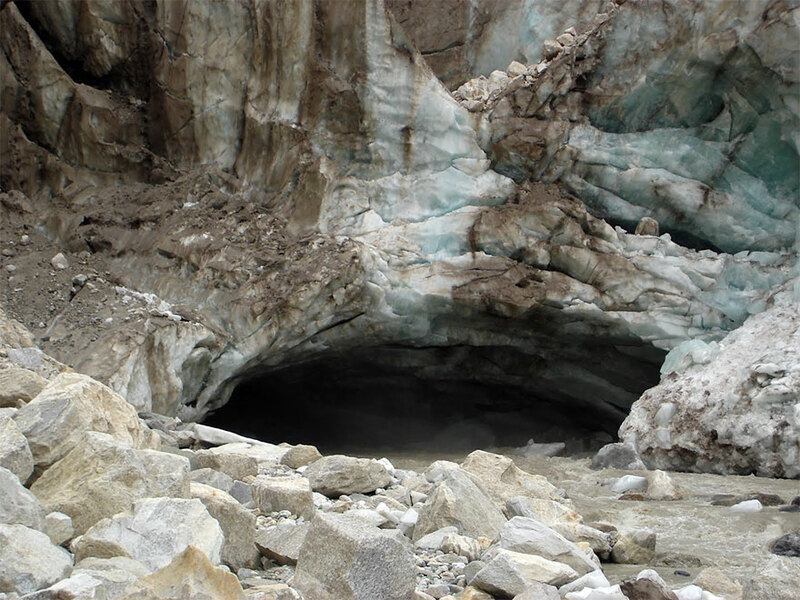 A milky stream flowed out of what looked more like a slit at the bottom of the glacier covered with mud and rocks. This place marks a very important landmark in the spiritual world of India, although it is faith rather than geography that defines the origin at Gaumukh. There was more flowing water high above the glacier in the meadows of Tapovan which is our destination. 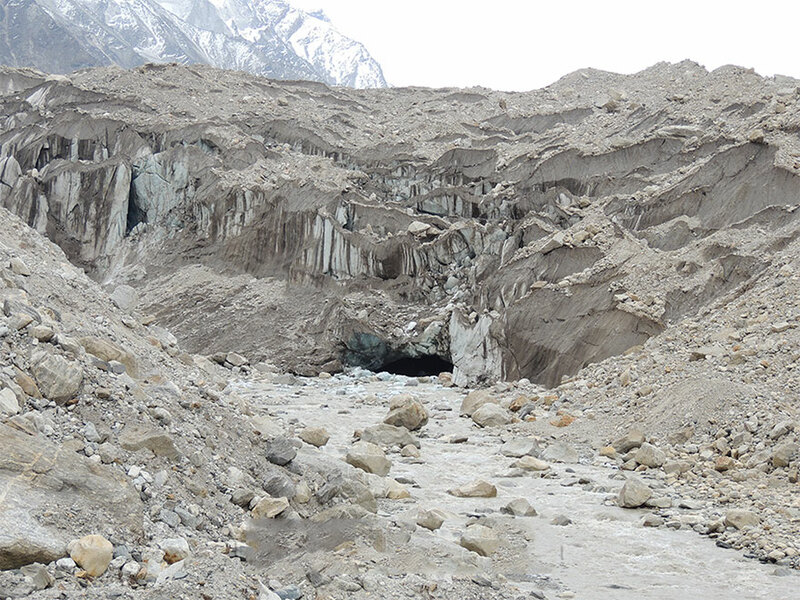 The journey to Tapovan involves crossing the Gangotri glacier from its right side and climbing up a 300m rock face. The climb to the top of the glacier is boulder moraine and is prone to frequent landslides. Jai asked me not to stop anywhere till we reach the vantage point 500 m away from Gaumukh. He sounded quite serious when he said that so I followed his every footstep trying to match his speed. Even though the climb was not too steep, crossing the boulders without any breaks along with a low supply of oxygen proved to be difficult. Somehow, I managed to reach the top of the glacier in 15 minutes to a stunning view of the snout from this point. Jai pointed out at the people climbing the rock face to Tapovan who literally looked like ants across the glacier. It was definitely a terrifying sight and Jai later told me that most trekkers would return from this point frightened by the dangerous steep path ahead. I rested here for 15 minutes and topped my energy levels with a chocolate bar and half a bottle of water before starting again. We were short on water and our next source was Akash Ganga which was midway to Tapovan. I had the daunting task of crossing an entire glacier and climbing halfway to Tapovan with just 500ml of water. We started to climb the glacial moraine to the right which was a combination of hard ice and boulders and slippery path at places due to the melting glacier. We had to cross crevices at regular intervals where one could see the fragmentation of the glacier and debris from the rock fall over years. There are cairns marking the route through the glacier which are difficult to spot as the glacial basin is always shifting. It is highly advisable to bring a guide to this place else you are definite to get lost in this icy labyrinth. It took us one and a half hour to cross the glacier when we were at the base of the almost vertical rock face, the final ascent to climb to reach Tapovan. Jai said that the climb generally takes 30 minutes which is steep for 300m over loose gravel and rocks, at an altitude of 4000m above sea level. We sat pondering at the base for 15 minutes and when I looked back to the glacier I had no clue about the path that we just came through. We started our ascent and I was finding it very difficult to get a strong hold for each and every footstep. My hiking stick was of no help either, as there was no defined pathway. I gave my walking stick to Jai and literally started crab walking up the mountain with both my arms and legs which helped me with the balance over the incline. I continued crab walking till we reached the halfway point where a stream called “Akash Ganga” flows down from the rocks. The name literally means water from the sky or heavens. We rested at the stream for 10 minutes and filled our bottles with the “water from the sky”. The view from this point was breathtaking and looking down, I could not believe how high we climbed. The climb from here was less steep with something in resemblance to a path. I took my hiking stick back from Jai and continued the climb. It was 1.10 pm when I took my final step to reach a vast expanse of land and reached Tapovan. I made it to the top in 50 minutes! I just sat there at the edge trying to comprehend my long struggle to get to this point which was not only about physical fitness but also mental strength. I believe Jai could understand the overwhelming emotions going through my mind as he let me be there for at least 30 minutes when I stood up and thanked him for bringing me safe thus far. He smiled and said “It is not over yet. We still have to get down and cross the glacier again”. 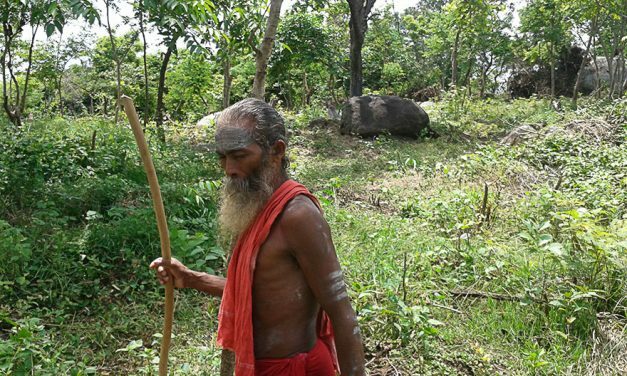 The word Tapovan literally means forest for spiritual penance. 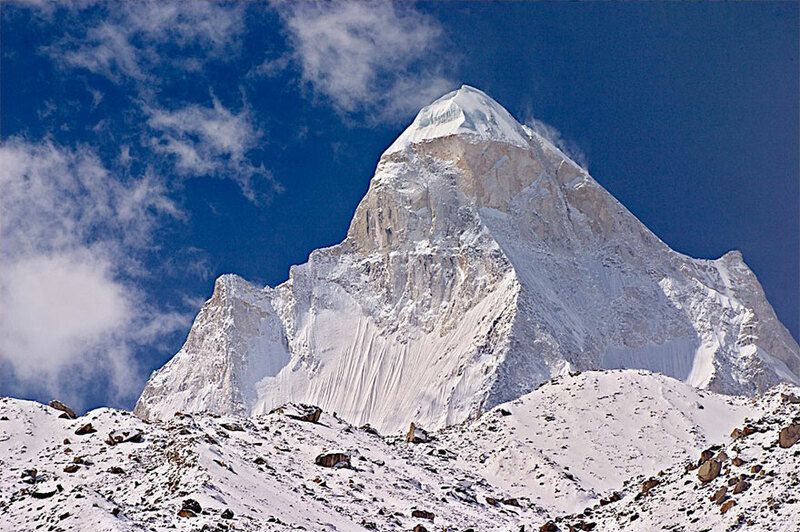 Located at the base of the majestic Shivling peak, it is a vast expanse of meadows, streams and flowering plants. 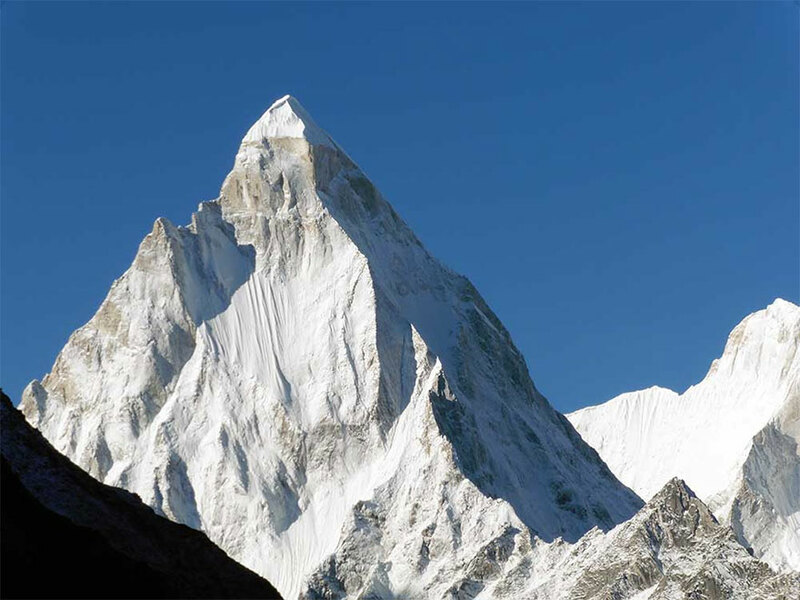 You can get amazingly splendid views of Shivling peak, Bhagirathi sisters and Mt. Meru from this place. If the source of a river is the point farthest from the ocean, then it is here, in the meadows of Tapovan, that the spiritual and the geographical origins of the Ganga finally come together. Surrounded and protected by the mountain gods, nowhere can be more fitting as the birthplace of India’s holiest river. 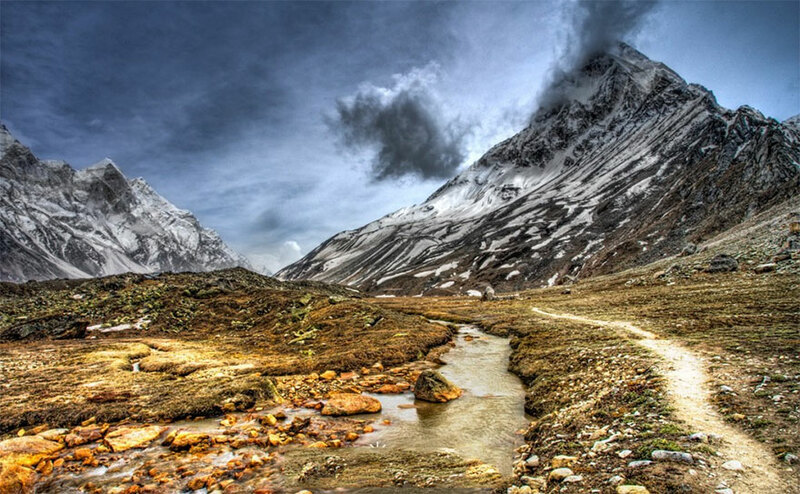 A small stream flows from the melting ice of the Shivling peak to serve as a reminder that the mighty Ganga still flows out of the matted locks of Lord Shiva. 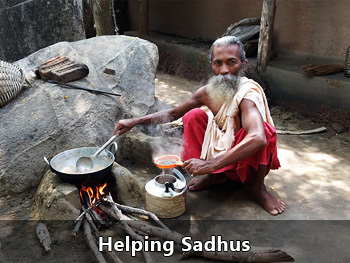 We then headed straight to the Mauni Baba’s ashram where he has been living for 8 years. 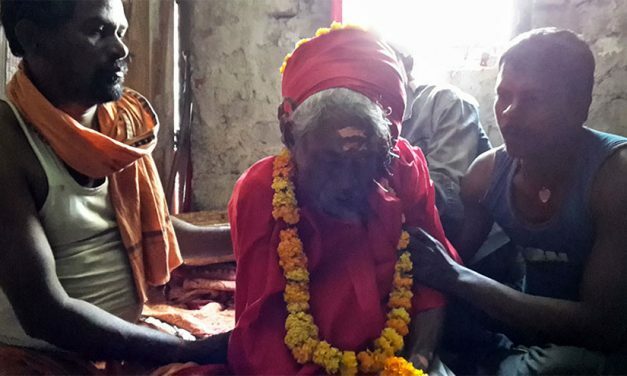 Mauni baba came to Tapovan when he was 22 years old and has not left this place ever since. He stays here even through the harsh winters with freezing cold and over 6 feet of snow. Everyone is welcome at his ashram for lunch, dinner or a night’s stay without a fixed charge but graciously accepts donations. He is not very talkative as in someone who has been alone for quite a long time. He served us dal and rice which we ate to our heart’s content, thanked him and hung around for a while. It was the most silent place that I had ever been to and Jai asked me if I wish to spend the night at Tapovan about which I had no idea. I was very exhausted to climb down and cross the glacier but I was concerned more about AMS if I stayed the night at Tapovan. I was having a mild headache and remembering the advice of the forest officers, decided to head down the same day. I told Jai that I may not be able to climb down at his pace for which he said, “you have made it this far and its descent from here so don’t worry, you will do fine”. We left Mauni Baba’s ashram at 2.30 pm and started our descent to Bhojbasa which as mentioned earlier was a test of agility. You have to be very light on your feet to hop around on the rocks and. It was a 300 m fall over boulders in case you slip. It wasn’t as scary as I thought it would be. I took it slow the first few meters but started moving down quicker after getting more used to the terrain. It took us just 25 minutes to get down to the base. As we started to cross the glacier it was getting dark due to the clouds making their way from behind the Bhagirathi peaks. Halfway through, it started slightly drizzling and Jai urged me to push myself harder as it would become very difficult to cross the glacier when it’s raining. Somehow, we made it to the vantage point at the end of the glacier in an hour when it was still drizzling. This is when I breathed a sigh of relief as it was all a relatively easy descent and even if it rained we had a clear defined path ahead of us. One last look at the cow’s mouth and I was on my way down to Bhojbasa from Gaumukh. It started raining on the way when we had at least an hour’s trek left to reach Bhojbasa. We had our raincoats on and trekked in the rain until our campsite at 6:15 in the evening. Our cook and porters who were anxiously waiting for us at the tents were quite relieved to see us come down the hill towards the camp site. I was welcomed with much appreciation from them as it was the first time that they had seen someone go up and come back down on the same day. 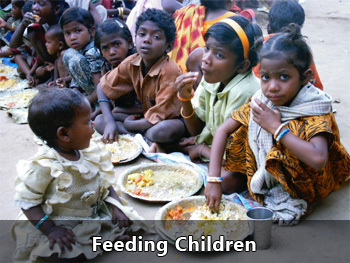 It definitely was the biggest achievement of my life and the first time ever that I felt I earned my meal. It was still raining when we went into our tents to sleep and my body was entirely exhausted from the trek but my mind was at its active best. Alone and dark, I had the best sleep in years listening to the drops of rain falling on my tent and the constant gushing sound of a sacred river. It was a leisure walk from Bhojbasa to Gangotri which we made it in 4 hours. En route, I shared my adventures with the forest officers at Chirbasa and they were quite happy to hear that I made it in a single day. Upon reaching the temple town, I directly went to the temple to offer my prayers and gratitude to the water goddess and the mountain gods for providing me a safe passage to their source. Our ride to Uttarkashi was ready and I felt this long ride was more tiring than the trek itself. I thanked Jai, Pardeep, Bhim and Bahadur for helping me along on a wonderful trek and bid adieu before checking into my room for the night. The next day, I drove to Dehradun and took a flight back to Chennai. Finally, I arrived at sea level. It’s not very often that you climb up to 4300 m, but I was quite relieved to look at the sea after almost a week of high altitudes. Only after parting ways with the river did I understand what the old shopkeeper really meant. It was the Ganga, which kept me company throughout the trek by flowing beside me. It was the Ganga, that helped me along by quenching my thirst with its ever flowing streams from the slopes of the mountains. It was the Ganga, that put me to sleep each night with a lullaby of its own. And it was the Ganga – India’s river of life, that helped me find solace in an isolated meadow, among mountain gods, high above in the Himalayas. Great article on Himalaya. Young must visit at the earliest, else regretting for lifetime. Nice fotos.some places shud be more clean and nice. 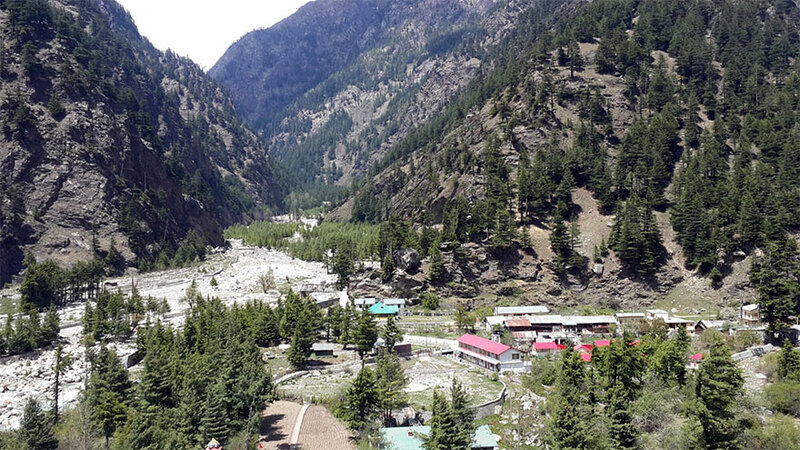 An extremely nice account of Himalayan resorts “Tapovan”. Though i had done trekking to Tapovan alone in the year 1985 i was not fortunate enough to have Darshan of the realised Saint Mauni Baba. Baba perhaps was in higher altitudes. I walked bare-footed living on a few dried grapes and Gangajal; a boy from Dunda was my guide to lead me to Tapovan. I had to walk over glaciers for quite a long time but i felt no discomfort. People had warned me of Frostbite. I did not suffer from frost bite though i did Jamunotri too bare-foot. It was only due to Grace of Maa Ganga i could perform the trek. I have seen people doing trek to Kedarnath with incredible faith in disabled condition; they never mounted horses. Ganga Maa is in the form of simple water to our outward eyes, but her Divinity is embedded within the watery form and it is visible to the enlightened ones. Jai Maa Gange. Wow! You made me feel your experience. You must be really blessed to see the nature at its peak. After reading your article I really want to take a journey to Himalayas. How far its feasible I don’t know. But your snapshots and travelogue gave me a feel of accomplishment. Thanks for sharing and All the best for your future adventures. Böyle doğa hazinelerini insanlarla paylaştığınız için kutluyorum sizi. very nice, good job to establish details of divine place to public, thanks alot. Beautiful article and pictures which brings back very fond memories although I made it only to Bhojbasa due to AMS. Fantastic ! 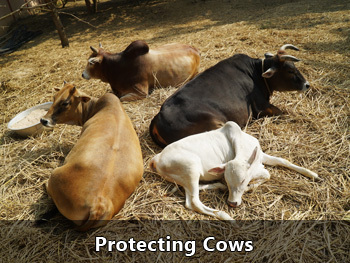 Nice description with Superb photos will induce every reader to visit Gaumukh. Thanks for sharing your wonderful experience. Thank you for the vivid and wonderful description of your trip. The photographs are also splendid. It would be great to see this as a documentary in the Nat geo. Dear Shri Rajesh Vaidula. An excellent spiritual travelogue. I lived through every word and travelled with you at every step to The Holy Tapovan and back. It really transported me mentally to year 2006 when we (myself and my eife) visited Gangothri, stayed at the Tourism resort in Harsil, plucked and ate apples from the tree in the compound. We did the travel by car and not do trekking due to time constraint. But when we reached Gangothri and heard about Gaumukh trekking of further 14 kms from our driver chum guide Gola ji, my mind longed for another visit particularly to Gaumukh in the future. I am not sure whether it is possible in this life time mainly due to age factor, as I am nearing 60. But my spirit says I am still 30 or 35. Splendid write up. Nice to find that there are right minded youngsters who share their spiritual experiences even today. Thank to Rajesh and mobile technology. Amazing Article. Could really feel as if we all were there with you throughout your journey. Thank you so much for sharing this with us. Journey of ascent and descent eloquently written and the conclusion befitted the challenges faced and overcome. Stunning pictures! Video blog accompanying this would have been nice. Heartfelt thanks for all your comments and blessings. The photographs were not clicked by me as i did not submit them along with the article although would be happy to share them too. Just by your description one feels like going there. Great article. Had a virtual tour sitting here at my desk in another country! Thank you. God Bless! I hope you continue. You should be very happy with that. Gives me a warming feeling. the mental build and physical endurance levels needed, the training & preparations needed, the unyielding resolve needed to embark on such a critical venture. Your achievement is awesome! Your faith & divine grace were clinching factors for sure. God bless. Wonderful travelogue. You are a blessed soul. I have been only upto Gangotri and imagined the topography beyond that but your narration has fulfilled me with joy. Very well written. Visiting Gaumukh, the birthplace of Ma Ganga is an experience. I was blessed to do this pilgrimage sixteen years ago when I was 70 years. I wish the Government of Uttarakhand could do little better to improve the bridle path from Gangotri to Bhojbasa and clear the boulders from there to Gaumukh. A word of request for pilgrims visiting Gaumukh. 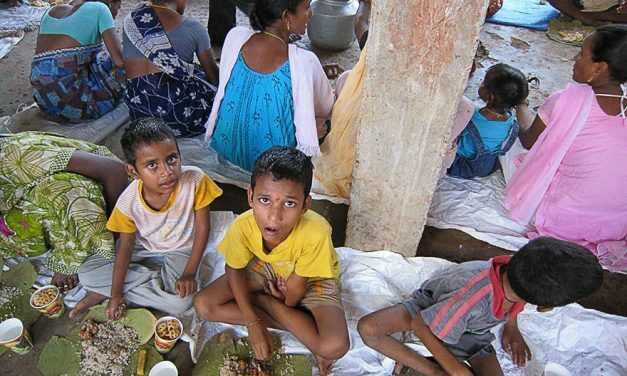 There is an Ashram named Lal baba’s Ashram at Bhojbasa, which gives accomodation and food free to all who want to stay for the past 50 years or so. Baba has attained siddhi, but the Ashram is continue the service. 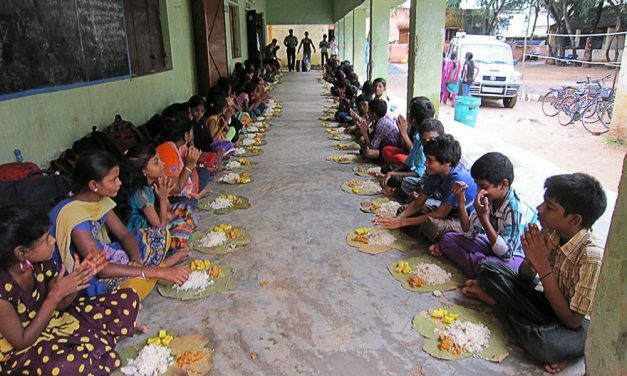 You can take some item like atta, vegetables, rice, dhal, sugar, tea and milk powder to help them to continue this service. I FEEL REVELING THROUGH THIS NARRATION what a wonderful sight like just visited and came back when finished and as if my all the life sins washed in mother Ganga. Very thrilling and adventurous experience has been narrated in such a way that makes me also to think that i accompany him even though i am sitting in one place. Splendid explanation and last but not least Ganga devi is Varuna Pathni and all her powers are given to her by her beloved husband Varuna deva. with Varuna’s directive Ganga Devi has helped you through out your difficult journey to come out successfully and stand by your side through out the journey. Nice pictures, excellent commentary. Thanks for sharing! Hello rajesh very narrative. My heart beats for a darshan of shrimati gangothri guamuk. Can you share me the contact numbers of the guide who accompanied yoy. I would like too take this journey. Kindly email me at raj_menon15@yahoo.com. Thanks for sharing. I would love to go there. Very well written. The whole narrative is excellent. Really transported me to that space. Can you pls share your cell number? I am from Chennai too & would like to know more details . Congratulations Rajesh. Your journey, and the way that you have described it, thank you for sharing this wonderful divine experience, with us. Could not stop reading; such vivid descriptions. I felt I was also there with you. Amazing photos. Fantastic experience shared. A week ago I had the opportunity to visit a few temples of Shri Lanka and India (Assam, Kolkata and Varanasi). It was a memorable experience indeed and your article brought back the feelings of those rich experiences to my mind. Thank you from Mauritius. Very Good. Photo graphy is nice. Recently SVBC TTD TV Channel telecasted 40 episodes of Chardham Yatra. A wonderful compilation by Rajesh of his experience of his pilgrimage. Thanks for the pains taken to explain his experiences in a lucid manner for the benefit of the readers. 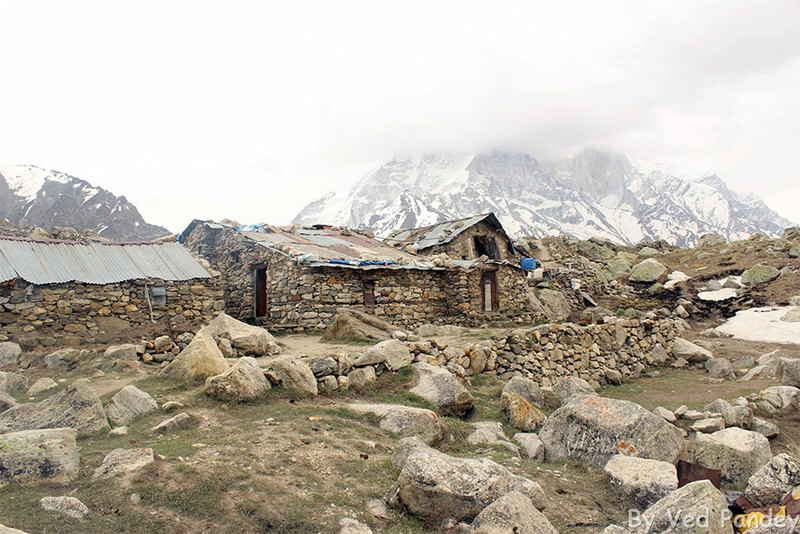 Excellent account of your ordeal in trekking Gaumukh in the Himalayas. Surely some aspirants will make it come true to themselves. 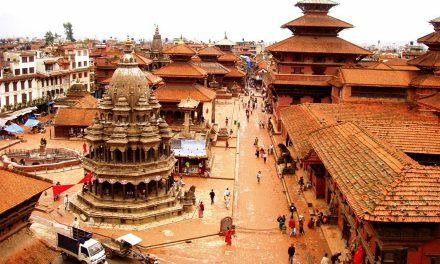 Dear Rajesh vaidyula – Excellent article. Good naration. You are so blessed to visit this holiest place and see Sivalinga Peak. I pray Lord Siva to give this body and soul strength to reach atleast near the base of those holy hills. After reading your article , I really want to take a journey . how is it , I don’t know, pls tell me. am 62yrs. Fantastic narration and excellent photographs. Blessed are you to have visited all these places. and meditation leading to Samadhi. I had an opportunity to be a member that i visited Four Dhams in bus journey. At that time i had no idea to take such trips (tracking) on foot. I really regret that i could not do. Now i am 86 yrs old still i have will power but regret i can’t. I sincerely advise young ones to take such trips so that they can feel that God created, we should enjoy. Thanks. Thank you dear for having done this journey and literally bringing us out there, to visit and live all the experiences you have been through. You expressed yourself so clearly in your english description. only blessed souls can make such a journey. Thank you for the well written article. 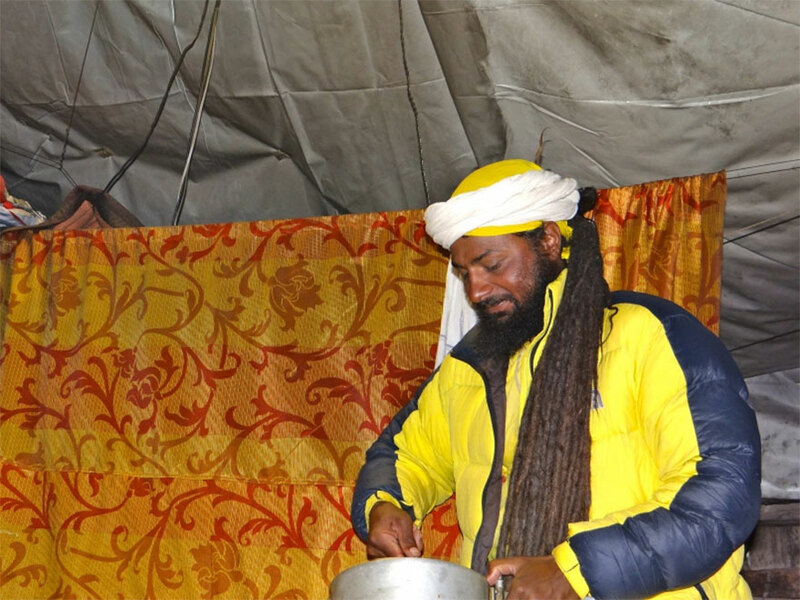 Sri Rajesh Vaidyula, A Superb narration of your trekking experience to Himalayas Gangothri and to reach the Mauni Baba’s Tabovanam at 4300m altitude. I am 87 yrs old and last year I planned to visit Kedarnath with my wife Vasanthi. But ended up in Rishikesh! You have the blessings of Ganga,ma to achieve this venture! We really enjoyed your trip and the beautiful photos. Keep up your yatras! 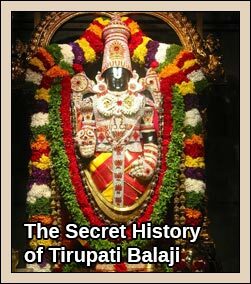 Excellant narration, very crisp & gradually unfolding as the trip itself -very informative – without ever going overboard. Inexplicable to communicate that feeling I have experienced when I read this awesome narration… You are really blessed to be there. Very grateful for surging in me that great dream of visiting there atleast once in lifetime. It is a wonderful narration. Readers will get a feeling they took a trip with you spiritually, and felt all the feelings you had along the journey. It is very spiritual and all the Gods were with you to complete the journey. You are really blessed. Fantastic experience shared wonderful holiest place satya make it come true to themselves. Great inspiring article. Can u please let me have the contact details of ur guide. It is well expressed and all the people who read this article will certainly long to visit Himalayas the great Blessings for Hindus. Hi .very nice article .I could feel myself being there …superb .. I myself have taken this route myself but cannot put it in words like you have. You made me relive my own journey. Thanks for your narrative and may God bless you. Forgot to mention that even though I did not do the total journey like you, your narrative finished it for me.